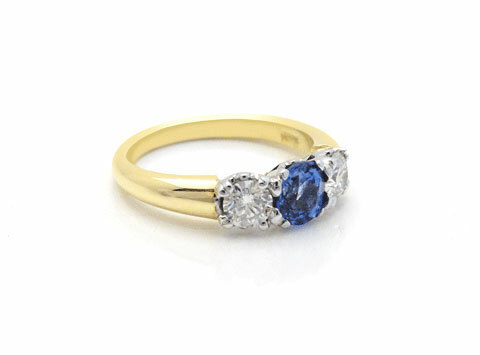 The design of this 3 stone ladies ring consists of a 0.96ct ceylonese sapphire in the center with 2 x round brilliant cut diamonds set either side. The stones are all set in 18ct white gold 4 claw corronets to enhance the stones and the band is 18ct yellow gold. 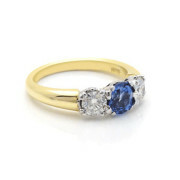 Total diamond weight is 0.62ct both G coloured diamonds and SI clarity.